“Zeitwanderung” was a guided tour through the city in the frame of “Remembering the Future – 40 years of Tanzfabrik Berlin and Open Spaces/Sommer Tanz 2018. 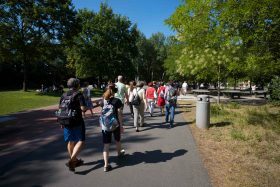 More than 50 participants took part in this big group journey by foot and train across the districts Kreuzberg, Tiergarten and Wedding on the trail of Berlin’s recent dance history. On the […] Read more – ‘Zeitwanderung – Berlin (2018)’. Hidden Traces is a collaboration between Gabriele Reuter and Mattef Kuhlmey. It is a sound journey discovering the streets around The Place. It is a self-guided tour for all ages, tracing the many identities of this ever-changing neighbourhood throughout the past decades and into the present. Childhood memories of local residents from the 1950s onwards are […] Read more – ‘Hidden Traces – London (2016)’. A collaboration with sound designer / composer Mattef Kuhlmey (D). 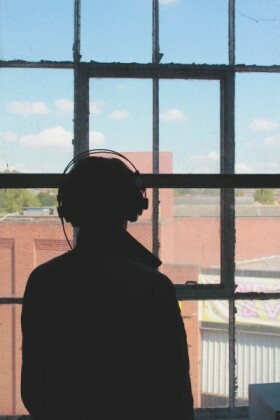 This sound installation invites its audience on a choreographed sound journey through several rooms and back corridors of the former factory building Alfred House in Sneinton Nottingham (Backlit Gallery). 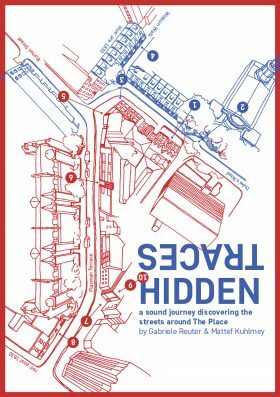 Urban sounds, historical recordings and interviews with local residents will bring the building’s hidden spaces and […] Read more – ‘Hidden Spaces #1 : Sneinton (2014)’.